*KraftMaid® Cabinetry Authorized Dealer* Locally owned and operated, Pride Kitchens, Inc., is your source for custom kitchen and bath design, proudly serving Nashua, New Hampshire, and parts of Massachusetts. 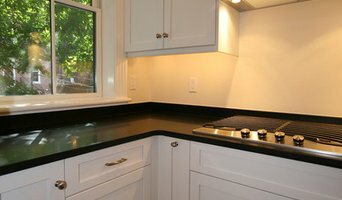 Pride Kitchens & Bath offers the latest in kitchen and bath cabinetry from KraftMaid, Decora, and Kemper. We take pride in our ability to create any style cabinet, door or finish you so desire. From elaborate projects to the simplest of requests you can count on receiving beautiful high quality cabinetry. We’re an established, family-owned business since 1987, serving the North Shore, Merrimack Valley and Greater Boston areas. Working with homeowners, builders, developers, contractors, and interior designers, our experienced and knowledgeable team uses state-of-the-art software and shop equipment to design, manufacture, and install high-quality cabinetry that is aesthetically pleasing and functionally superior. We specialize in custom kitchens, bath vanities, entertainment centers, home offices, and mudrooms designed in Traditional, Contemporary, and Shaker styles. We’re passionate about what we do, and delight in exceeding our customers’ expectations. Call today to get started on your renovations! Previously located in Middleton, we have recently moved our shop and showroom featuring over 3,000 square feet of cabinetry for every room of the home to a new location in Georgetown, MA. Located near the junction of routes 97 and 133, we are convenient to Interstate 95, and not far from routes 495 and 93. Our family-operated business has been building quality cabinets & prides itself on being available to customers during every step of the design process; from initial consultation to the installation. *Authorized Kolbe Windows & Doors Dealer* Horner Millwork is one of New England’s finest millwork manufacturers and distributors of windows, doors, kitchens, stairs, custom millwork and commercial doors, frames and hardware. Our products include Kolbe and Kolbe Windows and Doors, Captiva Custom Wood Doors, Masonite Steel and Fiberglass Doors, Rogue Valley Wood Doors, Phantom Screens, Masonite Interior Doors, TruStile MDF Doors, Cooper Stairworks Preassembled Stairs and Stairparts, Fitts Stairparts, Misterstep Spiral Stairs, Rainbow Attic Stairs, Viewrail Cable Rail Systems, Maretti Stairs, WindsorONE Mouldings, HB&G Columns, BARI custom cabinetry, Aristokraft Cabinetry, StarMark Cabinetry, Decora Cabinetry, Kemper Cabinetry, Home Genius Electronics and Home Automation, Sonos, Episode Speakers, HAI by Leviton. We utilize our Warnock Hersey licensed shop to meet your fire-rating requirements and we are FSC® Chain of Custody certified to meet your LEED requirements. Our knowledgeable staff that includes Architectural Hardware Consultants (AHC) and certified Fire Door Assembly Inspectors (FDAI) will work with architects, contractors, owners, and end users to ensure all design and construction needs are met. 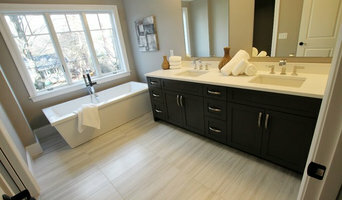 We are a local company who focuses on small renovations and custom cabinetry. We work with homeowners, designers, architects, and business owners to allow their vision to be realized. 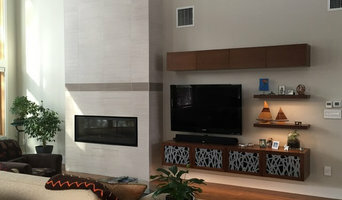 We design and fabricate custom cabinets ,liturgical appointments, boardroom furniture, conference tables, reception desks, bathroom vanities, built-in desks, closets, fireplace mantels, entry doors, home theaters, shelves, jewelry boxes, coffee tables, farm tables, dining room tables, clocks, beds, dressers, headboards, nightstands, podiums, jewelry, and more! Please contact us about rates and any other questions. James Martin has been finishing wood for 20+ years on some of the finest homes in New England. James consistently strives to expand his range to insure that every customer gets the look they desire. *Authorized Wellborn Cabinetry Dealer* Welcome to New England’s premier custom woodworking facility. Family owned and operated since 1969, our company provides high-end custom cabinetry, millwork, component parts and value added services. We offer customized solutions for your home or business. Whether you need custom cabinetry, furniture component parts, or a one of a kind show piece, Pridecraft will exceed your expectations. When starting the company, our founder, Sebastian C. DiSalvo believed “Take pride in your work, pride in your quality, and pride in your craft”. Today, this philosophy continues to be the cornerstone of our business. For over 35 years, we’ve been creating custom carpentry and cabinet pieces ranging from built-in entertainment centers and furniture, libraries and closets to fireplace mantels and staircase. Vartanian Custom Cabinets ~ since 1984 Where we create the very finest in kitchen design and custom cabinetry. Builders, architects and homeowners know us for our skilled craftsmanship, one-piece construction, state of the art manufacturing and for our professionalism. I'm a cabinet maker and woodworker who can build all your kitchen and bathroom cabinets and also all kinds of built-ins, bookcases, window seats and more. I can work with your design or help you with a design of my own. I can easily integrate metal, plastics, glass and natural stone into my work. My father was a carpenter and I have been working with wood for most of my life. I'm also very conscious of the environment and consider myself a "green oriented" woodwork. Please, check the Ideabook called "Marcone's Work" to see some other examples of my work. We are a full service custom cabinet design and installation company, here to satisfy all your needs, from luxury custom kitchen cabinets and accessories to modern cabinet designs for bathrooms, living rooms, mud rooms and more. Whether you are looking to remodel your kitchen, bathroom or office, or building a new home, we work with you to design a cabinet layout around your space requirements to serve your lifestyle and cabinetry needs. From the beginning of the design process to the final result, we have a dedicated team of professionals that partner with you to create the best cabinet designs to fit your budget and space requirements for any living space such as a kitchen, bathroom, library, office, home theater, walk in closet, laundry room organization, mud rooms, and much more! Visit our showroom to see the many cabinet, counter and hardware product options we offer.